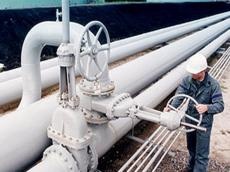 Azerbaijan expects to transship at least 4 million tons of Turkmen oil via the Baku-Tbilisi-Ceyhan (BTC) pipeline in 2020, Elshad Nassirov, vice president for marketing and investments of Azerbaijan’s state oil company SOCAR, said in an interview with S&P Global Platts, Trend reports. SOCAR transports crude oil from Turkmenistan across the Caspian Sea in tankers to the BTC pipeline. "Last year we transshipped approximately 4.2 million tons [of crude from Turkmenistan]. We expect this figure to be lower this year, but in 2020 I think it will be no less than 4 million tons," Nassirov said. Azerbaijan is also looking to increase cooperation with other Caspian states, particularly on transportation, he added. SOCAR also signed memorandum of understanding with Kazakhstan's KazMunaiGas earlier this year that envisages increasing cooperation on oil and gas production as well as transportation. In the medium term this may include Kazakhstan resuming deliveries via the BTC pipeline network as oil production there grows.